SAtoZ, The Information Destination, is a marketing information resources company dedicated to helping companies engaged in all forms of consumer marketing. Established in 1980, we have consistently delivered businesses with reliable information foundations – the data, tools, applications, and expertise – needed to examine, target and execute profitable marketing and retail opportunities. 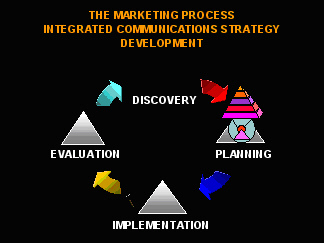 We are dedicated to maximizing our clients' profitability with targeted and measurable marketing information. Adding Intelligence to Information reflects SAtoZ’s holistic approach to providing client solutions and our commitment to fostering marketing innovation. We maintain an extensive array of consumer data and deliver information and applications through the technology that is best suited for our clients. The result of our work allows our clients to go beyond conventionally accepted marketing strategies to capitalize on new opportunities and existing potential. Contact us to-day. We’ll show you how to combine you proprietary customer data with our segmentation, Census or LSM data to allow you to make informed, scientific and targeted analysis of your markets. Our data sets are employed within virtually every business and industry sector in the country where marketing professionals rely on accurate marketing information. We enable you to base your marketing strategy and site selection on the most comprehensive market analysis, targeted to your specific needs. Many SAtoZ clients have unique project requirements that don't fit standard product deliverables. To fill these needs, SAtoZ offers a wide range of custom solutions and services. Our account team will work with you to assess your project needs and tailor a solution to fit your needs, timing and budget. SAtoZ can help you quantify target segments of the population as you define them using demographics, lifestyles, spending habits, and media preferences. Not sure exactly who your targets are and what makes them tick? No problem. SAtoZ offers customer segmentation tools too. Once your target markets are defined, we tap into SAtoZ data to pull relevant and related information about your target markets and create estimates uniquely suited to your business. To have every business in <?xml:namespace prefix = st1 ns = "urn:schemas-microsoft-com:office:smarttags" />South Africa rely on SAtoZ, The Information Destination to define and target their customers and markets. To provide business intelligence, tools, and services that enable our clients to reduce the cost of customer acquisition and grow customer value. We are committed to delivering innovative, high-quality products and services through an exceptional combination of information, technology, insight, and customer support. We operate in an ethical manner with utmost integrity, and recognize our responsibility for improving the quality of life in our communities. SAtoZ can provide you with once off analyses of individual locations, regular contractual analyses, in-house software and training to allow you to perform your own analyses or a web-based solution (available shortly). Contact us to-day to learn more about our products and services.